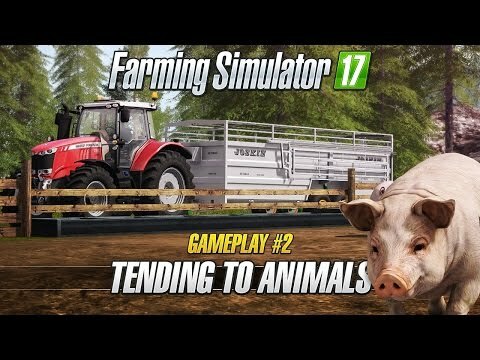 Giants Software's latest entry in the popular Farming Simulator series, the aptly titled Farming Simulator 17 is keen to show how many more options you have when it comes to animals. For the first time in the series pigs are now available to keep, joining the existing cows, sheep and chickens. Properly tending to animals will bring in more cash meaning proper care and attention is rewarded. Needing to keep an eye on each animal's diet for maximum yield as well as ensuring your livestock have fresh means careful balance is needed. There are many new pieces of equipment dedicated to the tending of animals, and along with the potential profits from good animal care gives you something else to focus on. Farming Simulator 17 is scheduled for release on the 25th October 2016 on PlayStation 4, Xbox One and PC. Often reminiscing about the 'good old days'. Simon has almost perfected his plan to enter the Speed Force and alter the timeline.